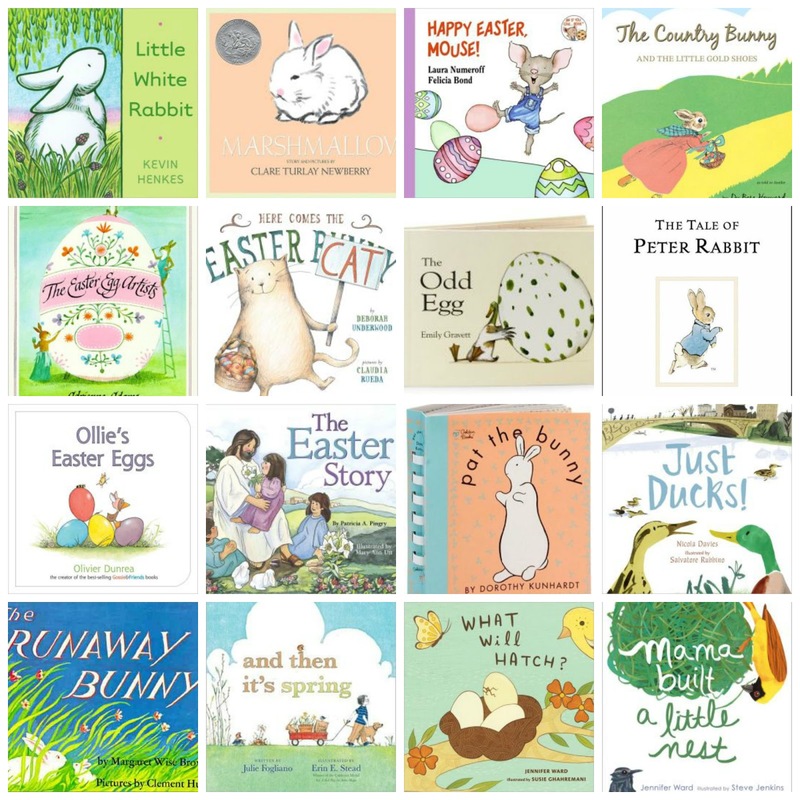 There are so many beautiful books centered around the themes of Springtime & Easter that I couldn't possibly include them all, but below are 16 of our favorites for this time of year. I love reading to Olivia about bunnies, eggs hatching and of course, the true meaning behind Easter and the reason we celebrate. It has been so much fun over the past two months to really see her love of reading come alive. In the mornings, she likes to sit in her crib before breakfast with her favorite books and page through them quietly with her tiny thumb. My sweet little bookworm. We chose Marshmallow, Happy Easter, Mouse!, The Country Bunny & What Will Hatch? to put in V's Easter basket this year and of course, The Tale of Peter Rabbit is already one we've been reading to her often because it's one of my favorites and such a classic. Olivia has a stuffed bunny named Marshmallow so we thought that would be the perfect addition to her basket! What Will Hatch? is such a beautifully illustrated picture book with rhymes to teach a child about eggs and baby animals. Inside the cover of The Country Bunny, I will be writing a letter to Olivia sharing about why Easter is so special to us and our favorite memories from our 1st Easter with V.
I know I will be picking up Just Ducks! to give V as a first birthday gift, because I have loved ducks since I was a little girl growing up on my farm and I know Olivia will have so much fun seeing them and feeding them at the pond this spring! Happy Reading & Happy Spring! i'm megan. redeemed. spoken for. mama of 3 little girls. lover of simplicity, minimalism, iced mochas & all things floral. passionate about pursuing a natural lifestyle and finding joy in the everyday. so glad you've found my blog & hope you stay awhile. Visit this post to learn more or get started with essential oils!